The historic Guild Theater, originally opened in 1915, is a center for performing arts and cinema in Sacramento. The Guild is a fully equipped venue including AV capabilities, microphones, a 20x40 stage, dressing rooms, and stage lighting. 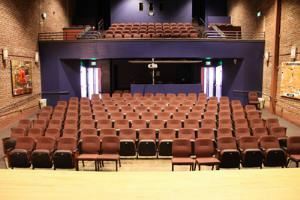 An ideal choice for corporate events, performing arts, film, music, classes or training sessions, and more.